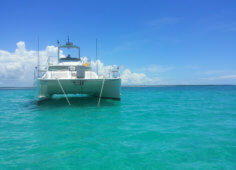 Our motorised charters into the Quirimbas Archipelago are geared to entertain clients who are looking for good fishing, excellent diving, fantastic scenery and island hopping surprises all along the way. 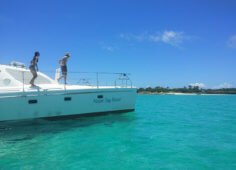 You will be on board our floating hotel – the splendid Maxim 400 Fly Bridge Power Catamaran. Your safety and pleasure at all times is our concern. 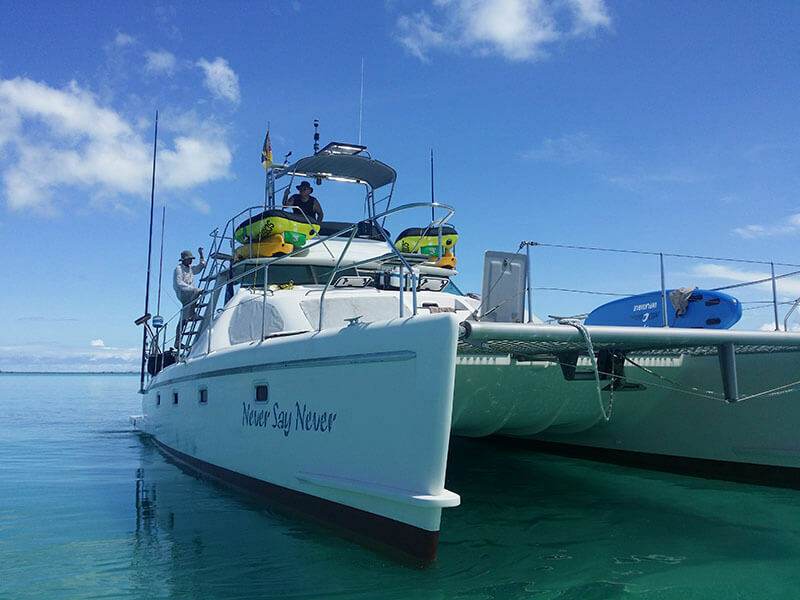 Check out our range of super activities on board our luxury Cat. This unique yacht boasts a generator, solar panels and plug sockets for 12 V and 220 V in the main saloon and in each cabin for charging items such as cameras, etc. 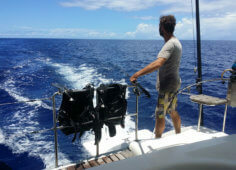 We also carry Category A Offshore safety gear, life rafts and life jackets. We encourage serious scuba divers to bring their own soft gear where possible as the onboard gear is for casual divers and backup use. 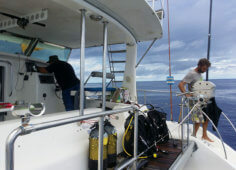 There is a PADI dive centre on our base at Ibo Island, should you need to rent dive gear. Keen anglers can also bring their own fishing gear if that is what blows their hair back. 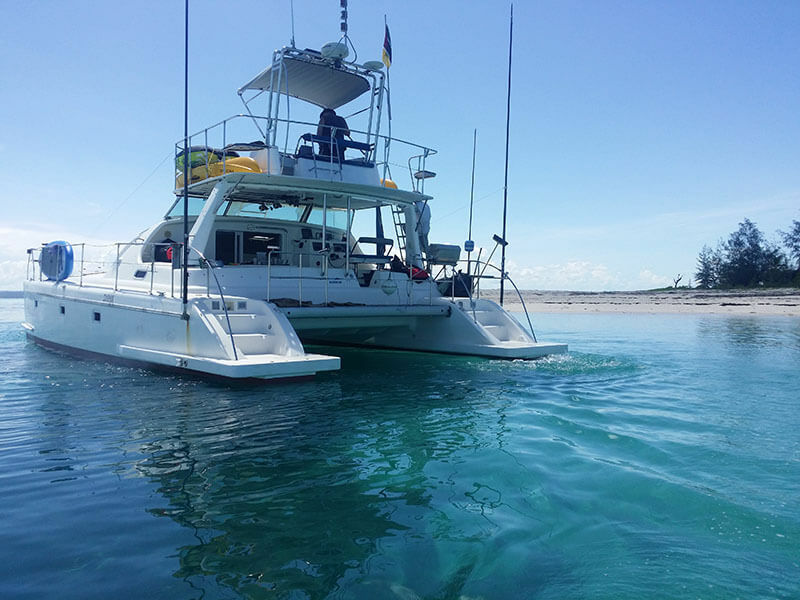 We know that the Maxim 400 Fly Bridge Power Catamaran is your ideal platform for ﬂy-ﬁshing, ﬁshing, scuba diving and other island hopping adventure charters in the Quirimbas Archipelago. 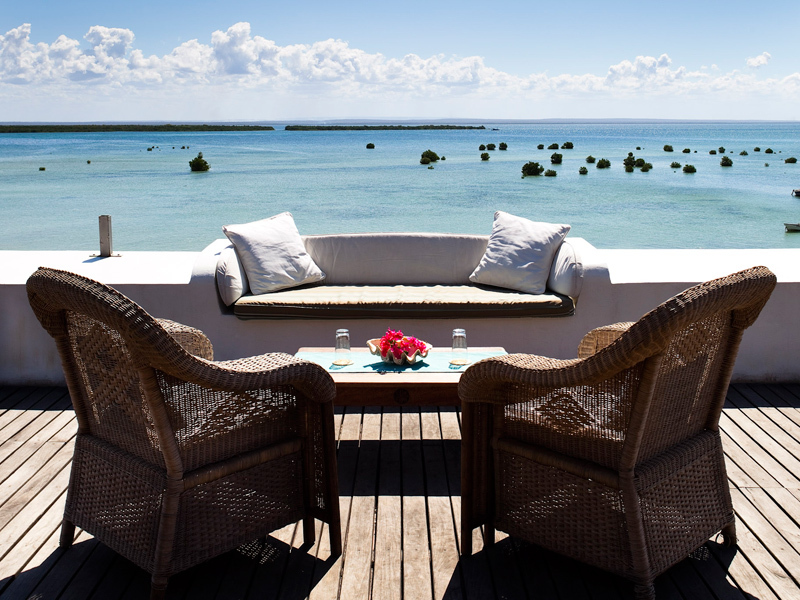 – Guest Spaces & Cabins – Enjoy 3 cabins with twin or queen-size double beds for 6 guests. Crew stay in 2 other cabins. 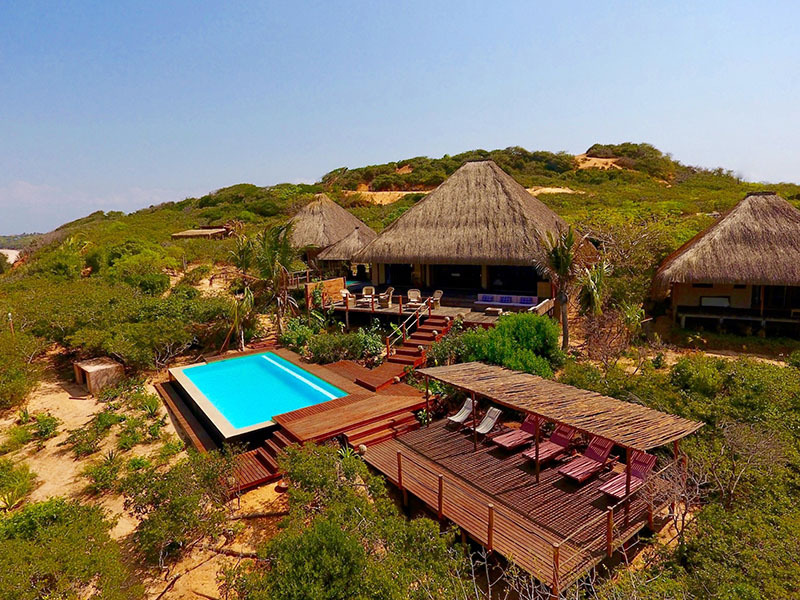 Guests share 2 separate bathrooms with electric ﬂush toilets, wash basins and showers with pressurised hot and cold water. There is also a deck shower for rinsing off after swimming in the sea! – Saloon – Sit back and relax in the main saloon area on plush leather upholstered cushioned seats. You can watch the world go by on the ﬂat screen TV and DVD player or listen to tunes on the music system. 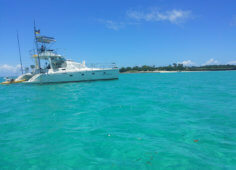 – The Galley – find a 4 burner propane oven and stove, hot and cold water, microwave, fridge and separate freezer plus plenty of working and cupboard space for the crew to prepare you wonderful meals. – Fly Bridge – Five people can sit here easily and move into the full walk-around ﬂy bridge deck with 2 corner seats and front access directly down to the coach roof and front trampoline area or to the cockpit. 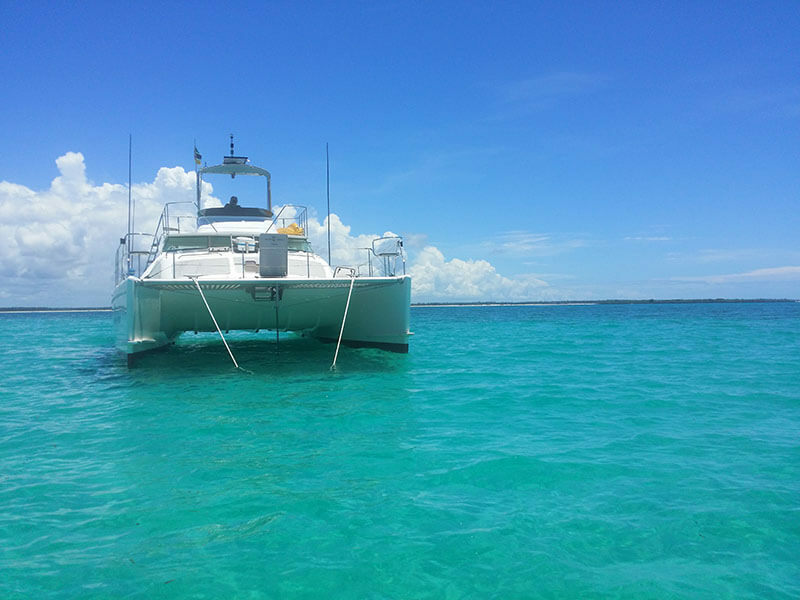 – Yacht Systems and Instrumentation – Our Maxim comes equipped with all the necessary electronics equipment including satellite phone communications systems for emergencies. – Conventional Fishing –Fully fitted out for ﬁshing with out-riggers, the Maxim 400 Cat is the ideal boat for your ultimate ﬁshing adventure. 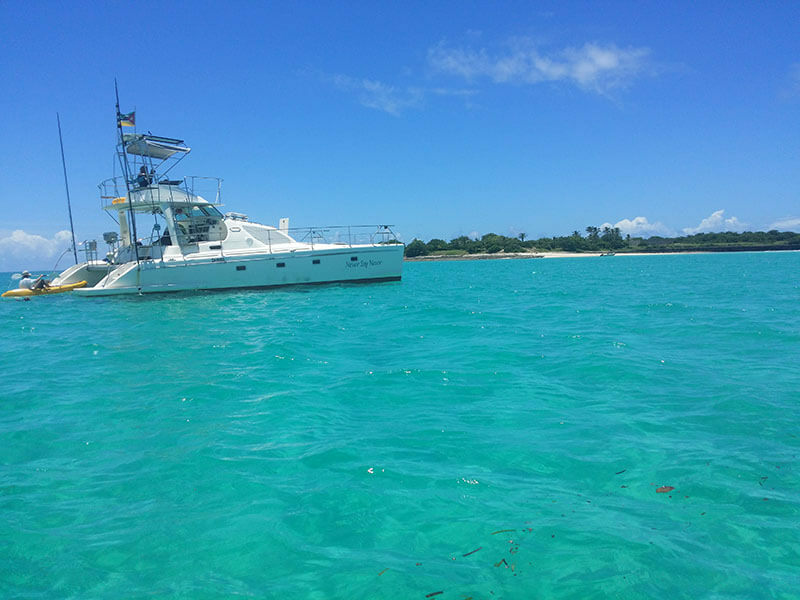 We can offer all types of ﬁshing, from jigging and popping to trawling and sports ﬁshing for Broadbill as well as being a perfect platform for ﬂy-ﬁshing too. 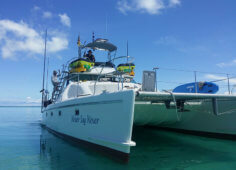 – Fly Fishing – This Power Yacht has no rigging, therefore, plenty of space for casting straight from the main decks or from her enlarged stern platform and her two water-level dive and swim platforms. She comes with a 22ft skiboats ideal for ﬂy ﬁshing. 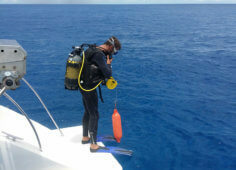 – Scuba Diving – We carry dive tanks, compressors, weight belts and dive gear on-board for certified divers only. 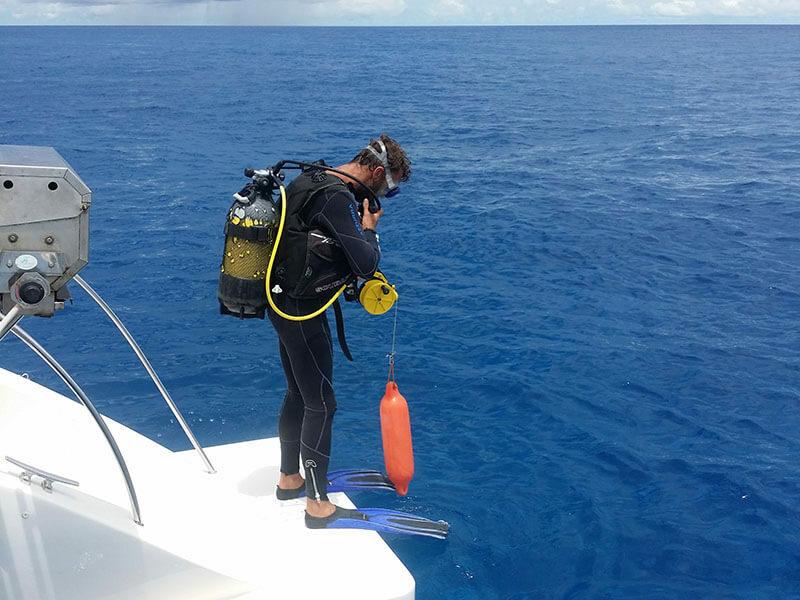 Serious divers are encouraged to bring their own soft gear where possible as the onboard gear is for casual divers and backup. – Kayaking & Snorkelling – Discover our unique variety of snorkel gear and two sea kayaks. 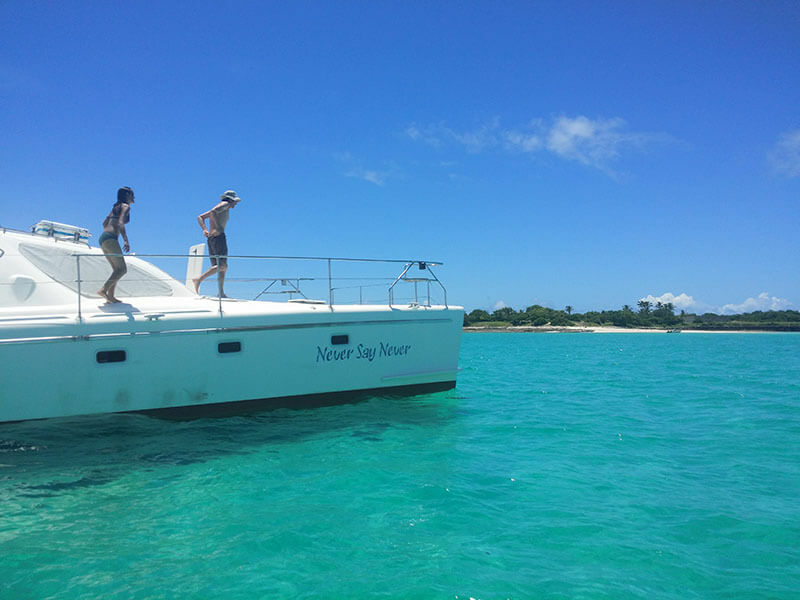 You can also use our fun inﬂatable toys on your perfect island cruising yacht. 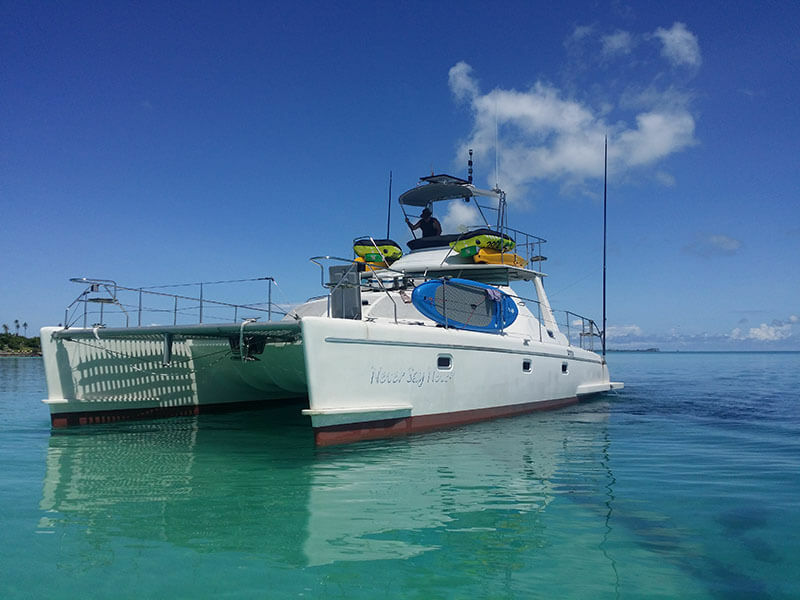 – Kite Surﬁng, Stand-Up Paddle Boarding, Windsurﬁng and Kayaking Expeditions – The perks of a power yacht include being the ideal home base and support vessel for other adventure charters such as Kite Surﬁng, Stand-Up Paddle Boarding and Windsurﬁng and Kayaking expeditions. 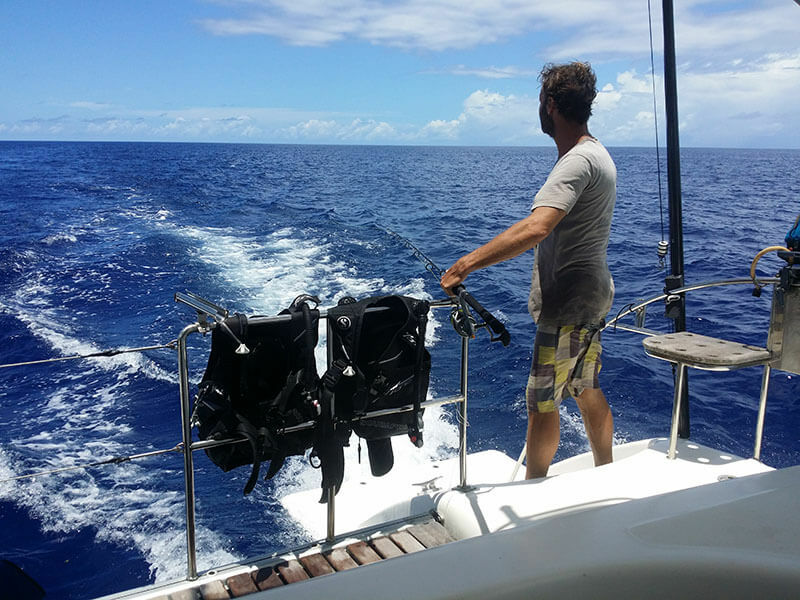 What kind of charter are you going to choose? Choose our Maxim 400 Fly Bridge Power Catamaran. 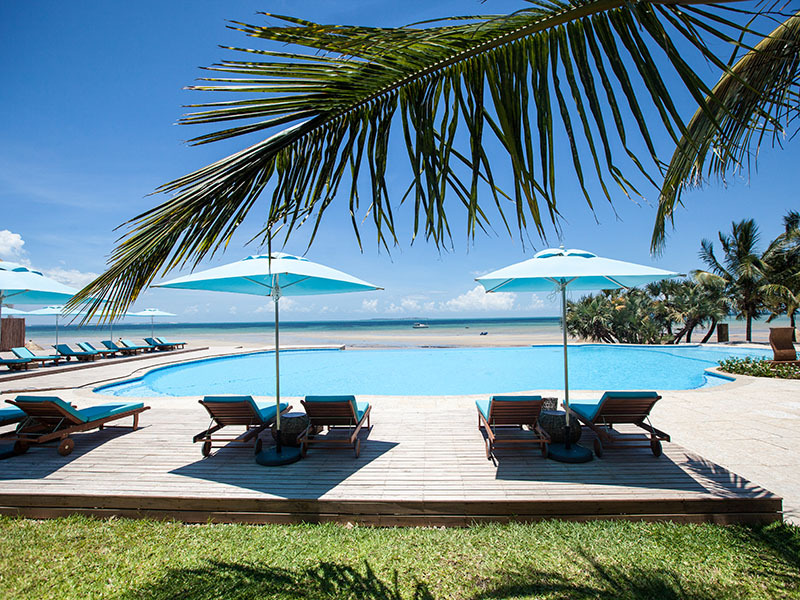 Contact us to discuss your needs and the length of your holiday. 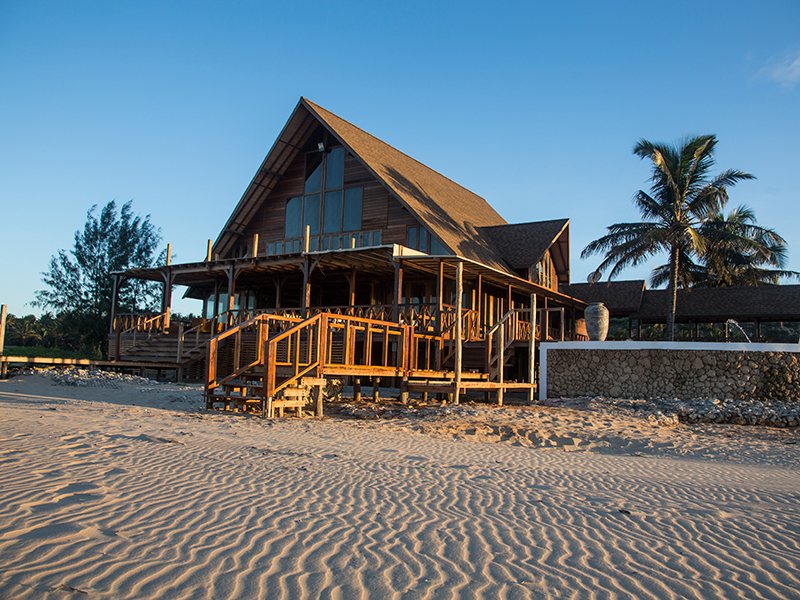 We will book you into Ibo Island Lodge and let the fun begin!